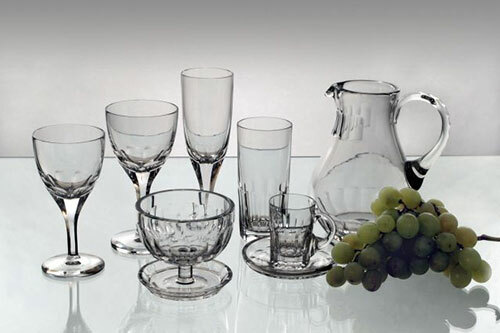 The history of Rückl Glassworks began in the mid-19th century. 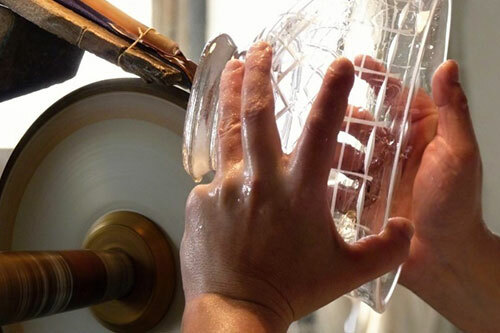 In the Rückl family, the craft of glassmaking has been passed down from generation to generation since the 17th century, when the family arrived in Bohemia from Switzerland. 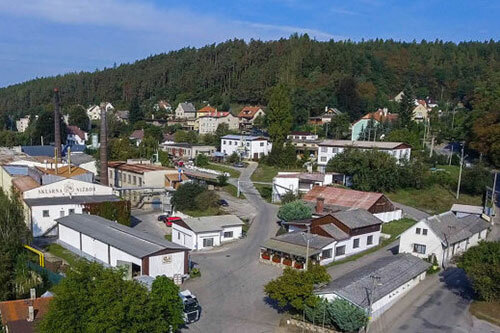 Jiří Rückl, one of the family members, proposed a successful privatization project in 1992 and bought off the glassworks. 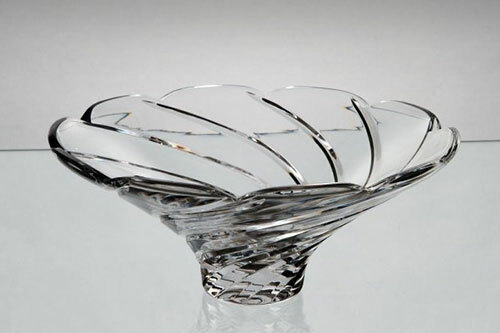 Today, the company produces a wide variety of lead crystal products, such as stemware, vases, carafes, candy dishes and perfume bottles. 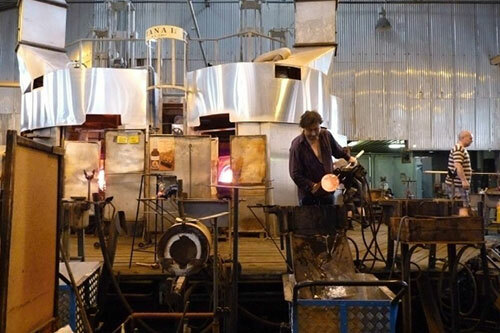 The tour begins at the glass smelting kilns, where master glassmakers show their art. 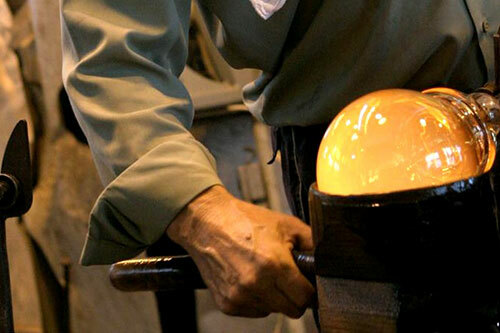 The shapeless ball of molten glass is hand-blown, transformed into elegant shapes, and made into products intended for export around the world. 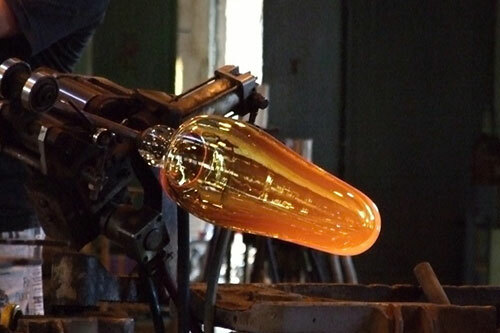 Then, we can truly admire the craft of the crystal glass cutters. 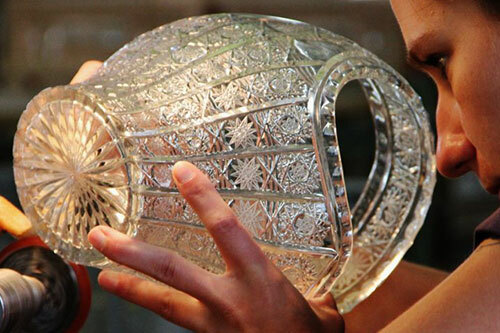 Using nothing but a rough network of outlines, they can engrave the most amazingly complex patterns. After the tour, enjoy a visit to the factory store where we can buy some of this delicate beauty at discounted prices. The price of the tour includes the cost of transportation and guide services. We calculated the listed basic price for transportation using a luxury minivan for the minimal duration of the tour. Please add 15 € or $20 for every additional hour. *Alternate modes of transportation are available for this tour by train or bus. The price is considerably lower than using the minivan. 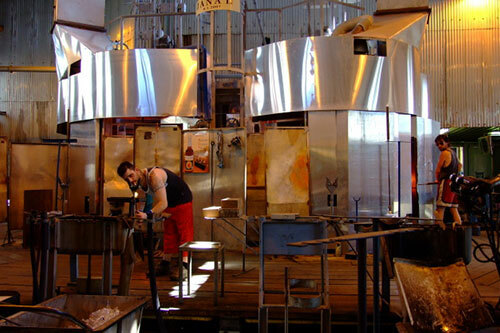 We’ll be happy to provide you with a tailor-made calculation. Why is there a surcharge for a longer tour? Occasionally the tour is prolonged in order to visit a particular monument or allow more free time. In any case, all of this depends on your desires. Entries to the monuments form a rather small part of the overall cost of your trip. You will pay for them separately and directly. We will include information about entry costs in our e-mail communication.